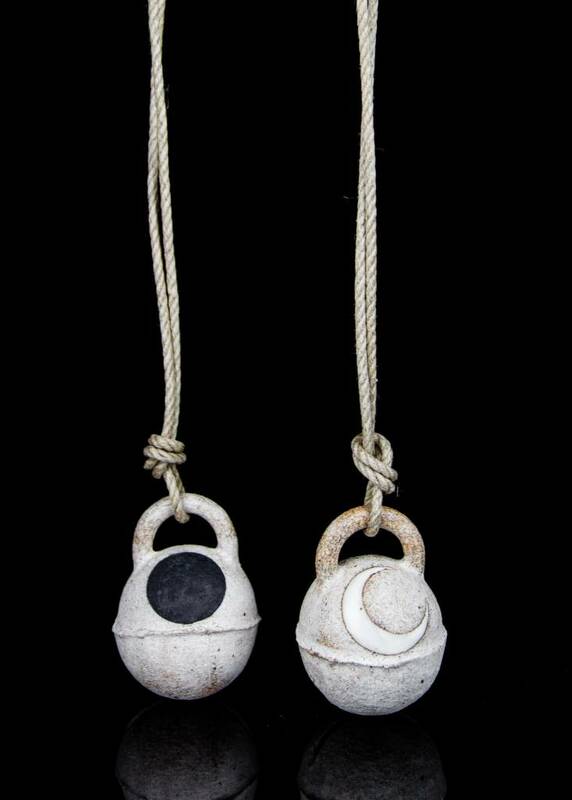 A stoneware jingle bell, hand painted with a crescent moon on one side and a new moon on the other. Bell really jingles! 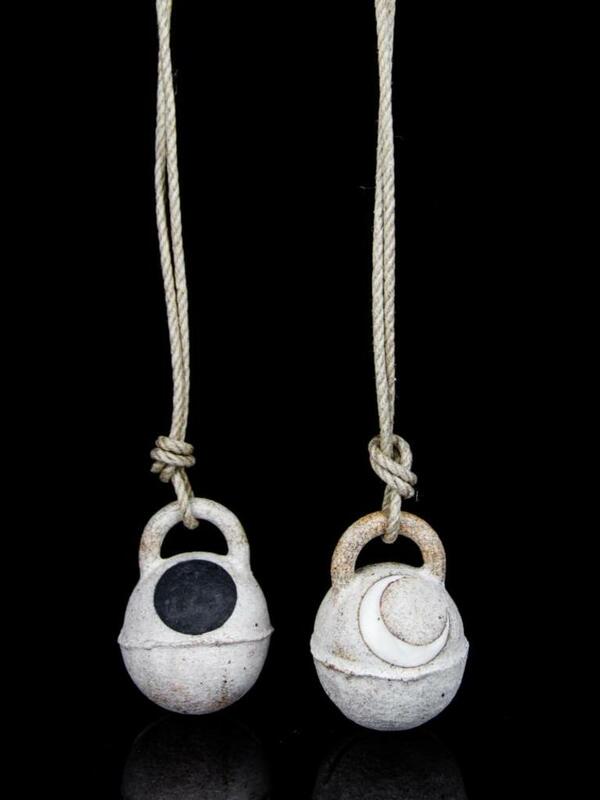 Assembled on hemp rope and safe to hang outdoors.